In case you are not familiar with it, Google Trends is quite a fun tool for exploring all kinds of information regarding what and how people search. 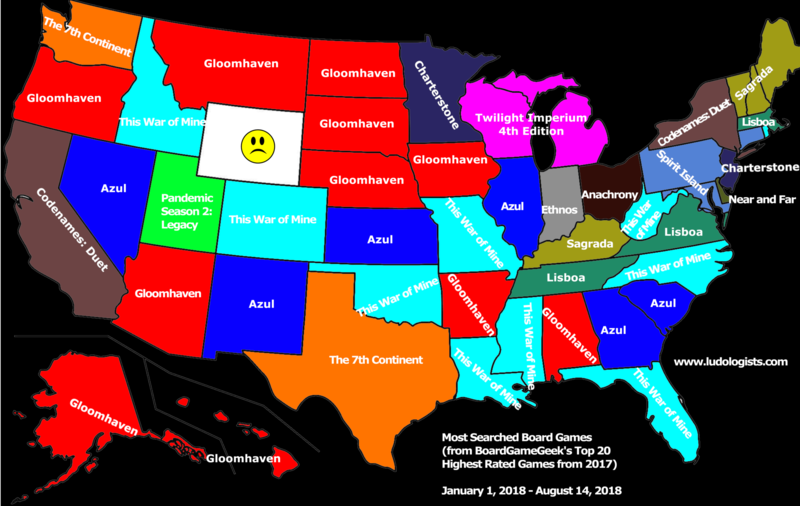 I’m going to give you the fun part first: the map of most searched board games from 2017 (limited to BGG’s top 20) by state. And then I’ll explain some of the details below the image. One caveat: Since This War is Mine is based off a video game, there may some skewing of the data with the video game and board game searches being conflated. 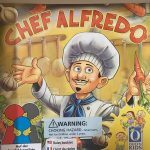 And if you’re looking for more top board games from 2017, then you can check out our aggregated list which has a slightly different top 10 than BoardGameGeek. Google Trends allows you to see the ranking for a search term by state, relative to the number of searchers performed in that state. Based on my understanding, it is not a simple ratio (# of searches for term in the state / # of total searches in the state), but that explanation is close enough for our purposes. To elaborate, Wyoming having a sad face does not mean that no searches for any of the games were performed, but instead, the number of searches are so low compared to the total number of searches that the Google Trends’ score is 0. 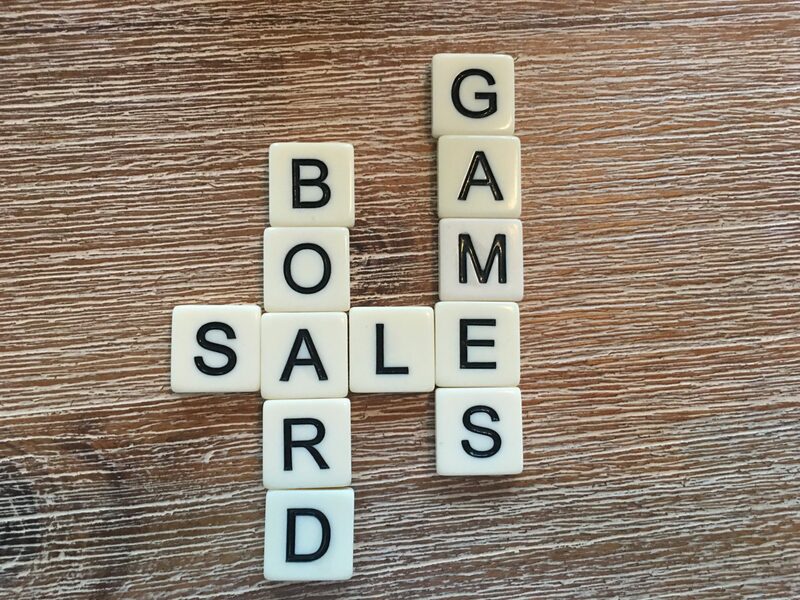 This list focused on games published in 2017 and looks at searches performed so far in 2018. The idea is that we can see how popular games released last year are in each state. The entire list of games is then limited to just the top 20 rated games (using BoardGameGeek’s rankings). Rather than trying to include ties in the map, in the event of a tie I have included on the map the game that had a score above 0 for the most states (in other words, the game scored the same in the state and is more popular in other states). None of the twenty board games had a score for Wyoming. Hence the sad face. Interesting in seeing more data or learning more about a game? In case you’re interested in seeing some more data details or even possibly purchasing the game, I have included that information below. We do receive a small commission when you purchase a game through our links below. From Publisher: “Gaia Project is a new game in the line of Terra Mystica. As in the original Terra Mystica, fourteen different factions live on seven different kinds of planets, and each faction is bound to their own home planets, so to develop and grow, they must terraform neighboring planets into their home environments in competition with the other groups. In addition, Gaia planets can be used by all factions for colonization, and Transdimensional planets can be changed into Gaia planets. From Publisher: “It’s the early 20th century. You have decided to sail back to the newly discovered seventh continent to attempt to lift the terrible curse that has struck you since your return from the previous expedition. From Publisher: “For two decades, Twilight Imperium has thrilled gamers with its grand storytelling and tactical strategy. Now players can explore the next step in the Twilight Imperium legacy with Twilight Imperium Fourth Edition, an epic game of galactic conquest for three to six players. From Publisher: “Embark on an epic adventure to bring humanity back from the brink of extinction in this standalone follow-up to the acclaimed Pandemic Legacy: Season 1. From Publisher: “The prosperous Kingdom of Greengully, ruled for centuries by the Forever King, has issued a decree to its citizens to colonize the vast lands beyond its borders. In an effort to start a new village, the Forever King has selected 6 citizens for the task, each of whom has a unique set of skills they use to build their charter. From Publisher: “This War Of Mine: The Board Game is the tabletop adaptation of the award-winning video game that pictures the drama of civilians trapped in a war-torn city. Your goal is to SURVIVE until the cessation of war hostilities. During your struggle as the survivors, you will experience dramas connected with making extremely difficult decisions and choices (you will have to face the consequences of your actions sooner or later in the playthrough). Survival itself will often prove not to be enough. The price each of you will decide to pay, might be too high in the final outcome. So the goal is really to survive in a way that will let you live on with the decisions you made. From Publisher: “The evil Lord Eradikus has all but conquered the galaxy, and is now on a victory lap across the sector in his flagship, Eradikus Prime. He may rule with an iron grip, but his most prized artifacts are about to slip through his cyborg claws. You and your fellow thieves have challenged each other to sneak aboard his ship, hack your way into its command module, and steal from him. From Publisher: “Introducing Century, a series of exciting and wonderfully addictive stand-alone, mixable games. Each title is set in different centuries, from the 15th to the 17th, and depicts the major trading systems and routes of these eras. 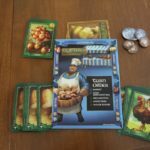 While quick and easy to learn, the century trilogy will fully engage even the most strategic players. From Publisher: “At the end of the last age, the rulers of Ethnos left the six Kingdoms without leadership, and scattered the twelve ancient tribes across the land. A once-prosperous and glorious empire was reduced to ruins. Now, it’s the dawning of a new age, and you have a chance to unite the members of the scattered tribes and take control of the Kingdoms under one rule, once and for all! 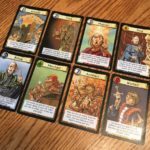 In Ethnos, you recruit different Tribe cards into your hand, form them into Bands, and play them to assert your control in one of the six Kingdoms. Over the course of three ages, you battle with opponents in a war for dominance and glory. Each Band has a Leader, and only the Leaders can tap into their tribe’s special abilities. Each of these abilities will give you a special advantage, but finding the right Leader for each assault is the key to victory. 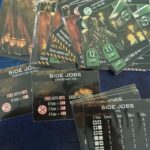 From Publisher: “Too Many Bones is a 1-4 player Solo/Co-op RPG Adventure using dice to shape and implement your battle strategies. Game length is decided by the Boss tyrant you choose to confront and can range from 60-90 mins. ou start your journey as a Gearloc in the town of Obendar, fighting one battle a day as you progress north toward the tyrant you are trying to take out. The goal is earn enough Progress points by completing Encounters/Daily Battles to reach the Boss Tyrant and trigger the final battle. You must achieve this within a set number of days shown on that tyrant.